Gail Dawn Coker Strempel, age 80, went to be with our Lord on September 17, 2017, in San Antonio, TX. Gail was born to Alvin F. Coker, Sr. and Grace Fields Coker in San Antonio, TX, on September 9, 1937. 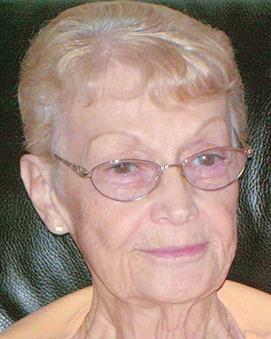 Gail is survived by her loving husband of 45 years, Gilbert (Buddy) Strempel; daughter, Susan Davis (Michael); grandson, Charles Thweatt (Nati); great-grandchildren, Ariana, Alyssa and Ashlyn Thweatt; sister, Betty Coker Roberts (Chuck) and brother, Gerald Coker, Sr.; and numerous nieces and nephews. Gail is preceded in death by her brother, Alvin F. Coker, Jr. (Jean). The family will receive friends on Friday, September 22, 2017 from 6 p.m. to 8 p.m. at Porter Loring Mortuary North. 231 E. North Loop Rd. Interment to follow at Coker Cemetery. Published in the San Antonio Express-News on September 21, 2017.